As cat parents, the simple but revolutionary concept of the cat drinking fountain is one of our favourite inventions. 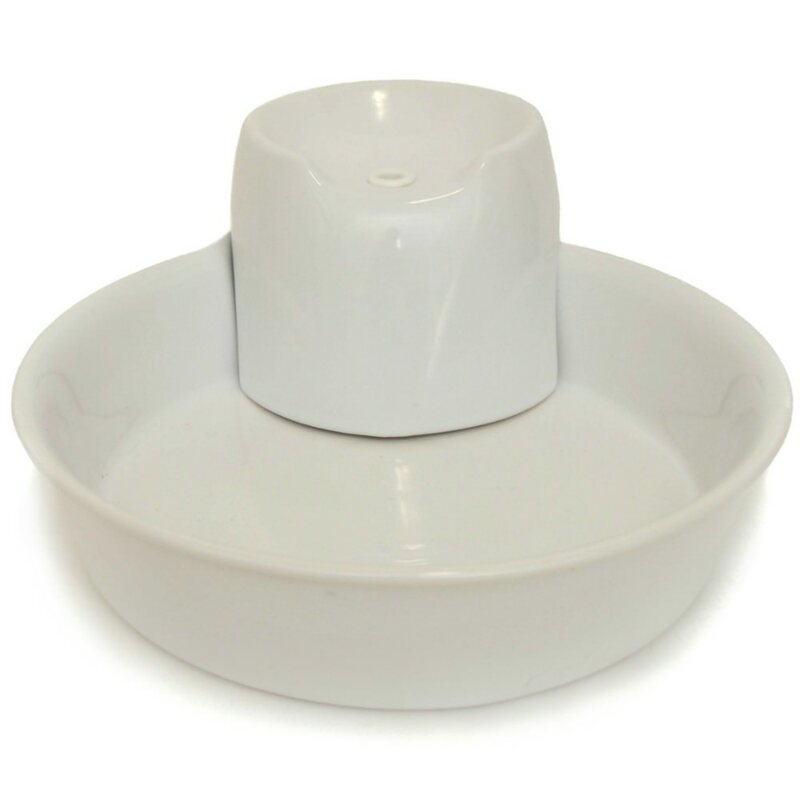 Not only do they give you some peace of mind that your cat won’t be left with an empty water bowl in the case of an emergency (admit it, the thought has crossed all of our minds), but cats seem to love drinking out of any water source that isn’t a bowl. Basically, getting a cat drinking fountain is a win-win for both kitty and human. There are a lot of cat fountains on the market these days, which makes it hard to choose which best suits your cat’s unique needs. There are tons of articles by experts online, but sometimes you just need an unbiased, no-nonsense, straightforward review. Cat Dad (as we shall continue to refer to him, to maintain his anonymity), doesn’t care for frills. 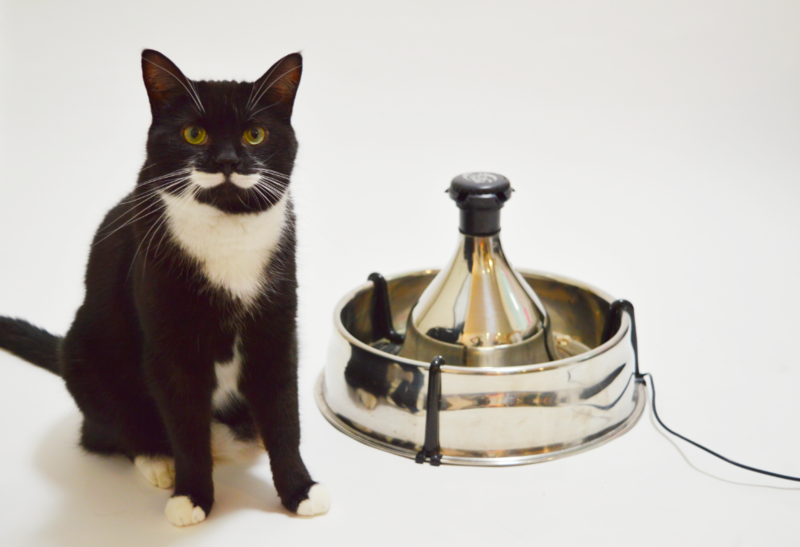 He just wants a cat fountain that works well, is easy to clean, and looks sleek in his home. For the convenience of cat parents everywhere, he assumed the task of setting up his felines with five popular drinking fountains and noting their key features. Hopefully, his experiment will bring you one step closer to the puurrfect cat drinking fountain. 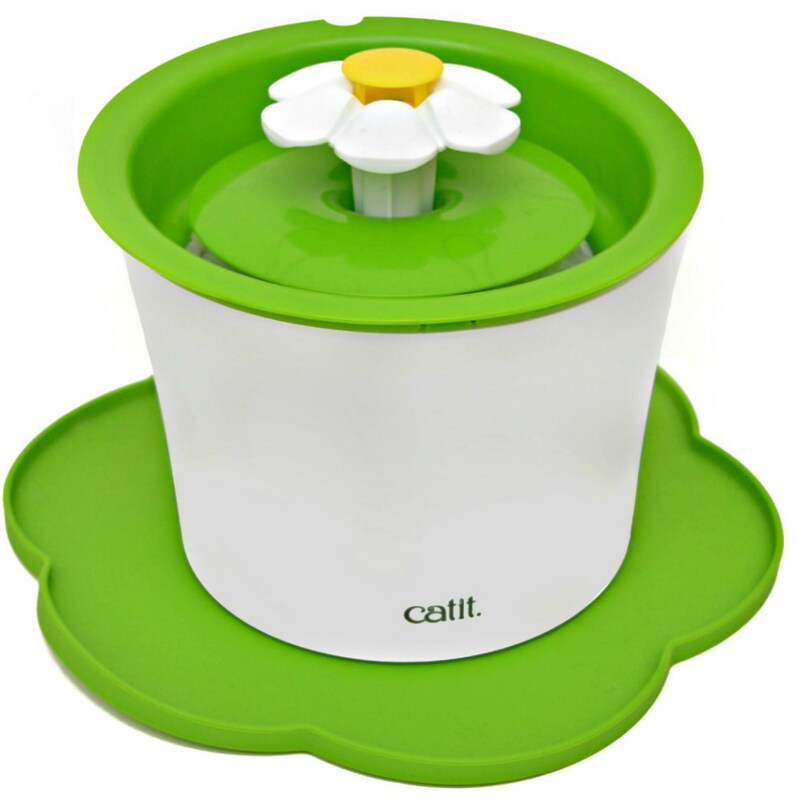 The first on the docket is Catit’s budget-friendly flower fountain. With its compact size and hidden cables, it can fit easily into any space. The water chamber is hidden, which keeps the fountain clean for longer and noise levels to a minimum. Cat Dad’s felines weren’t interested in this fountain, but it was an instant winner with their friend @freyjakitty. Due to its small size, this fountain is ideal for households with one to two cats. It is plastic and therefore may not be the best option for cats with plastic sensitivities. With its large bowl, Pioneer Pet’s Big Max ceramic fountain may be a better option for multi-cat households. Cat hair and dirt are easily visible, but the fountain can be easily disassembled and reassembled to clean. If you don’t mind this small amount of added maintenance and the higher price point, this fountain may be a good option—at least, this Cat Dad’s felines were big fans. 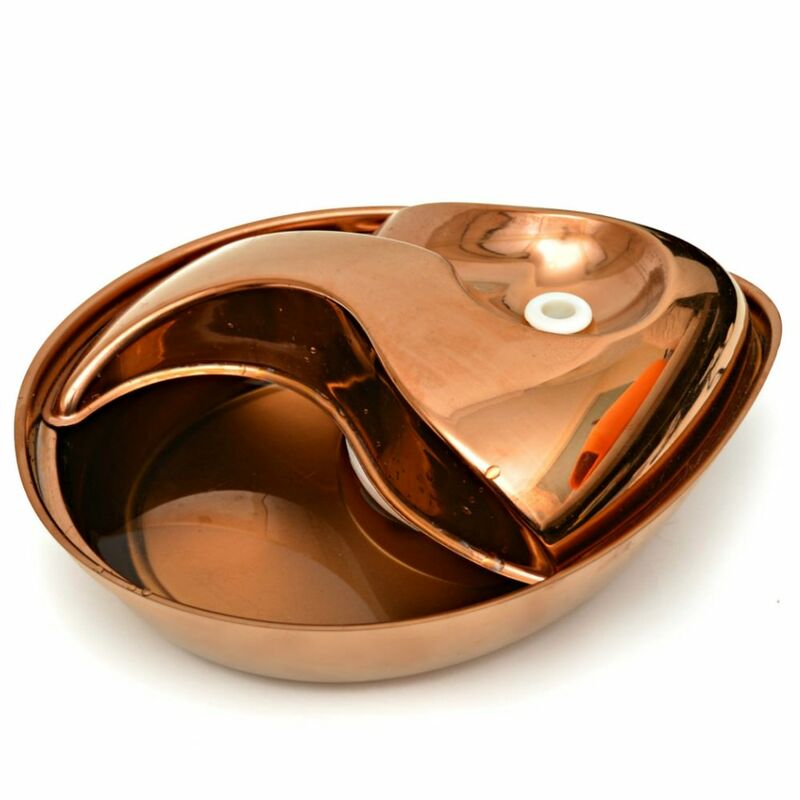 This uniquely-shaped fountain is so pretty, you’ll want it on display in your home. It’s easy to keep clean and the cables are hidden for added safety and convenience. Like the Catit fountain, its small size makes it perfect for a single-cat household. The main downside to this fountain is that it makes some noise. If you don’t mind a noticeable hum (nothing too offensive), this may just be a small sacrifice for an otherwise beautiful and functional fountain. Another fountain perfect for multi-cat households is PetSafe’s Drinkwell 360 fountain. 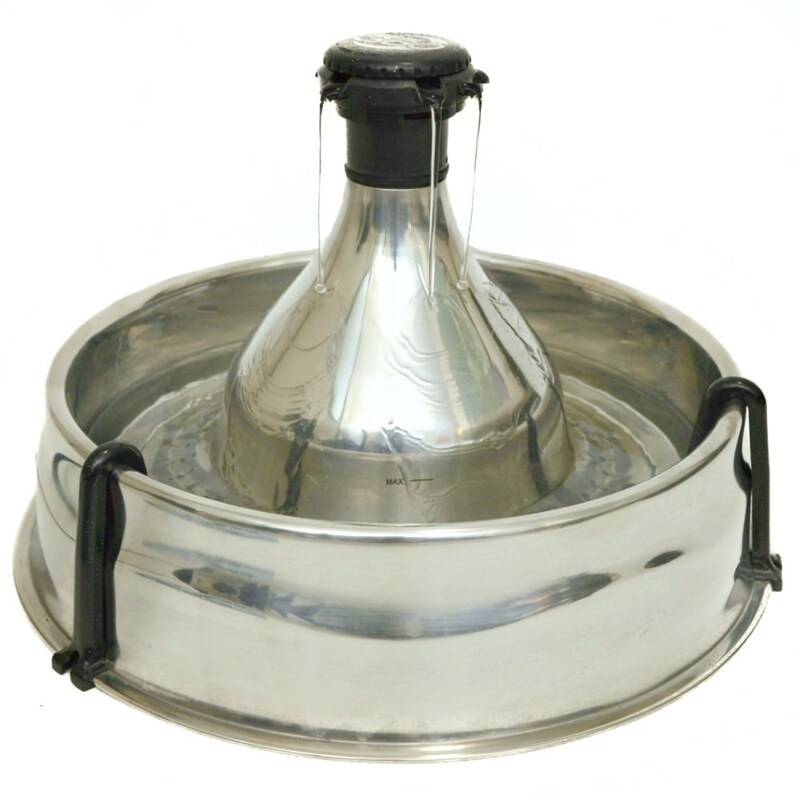 The stainless steel material hides dirt and cat hair, and it’s easy to take apart to clean. The large round reservoir allows multiple kitties to gather around the fountain to drink communally. Like Pioneer Pet’s Raindrop fountain, the Drinkwell 360 makes some noise, but only a minimal amount. 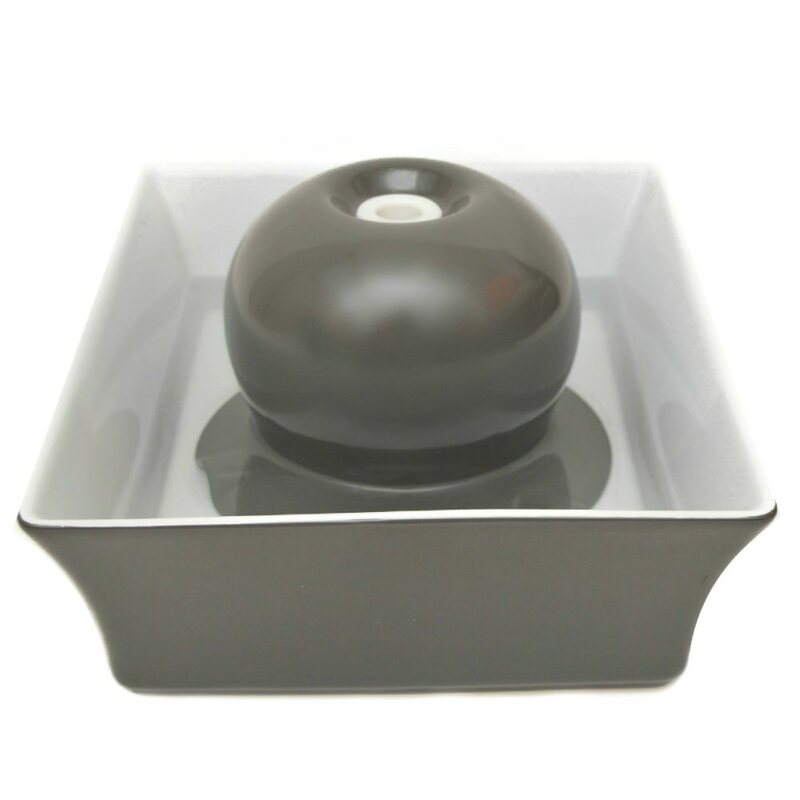 Another beautiful option is PetSafe’s Seascape fountain. It took no time to construct and the kitties were gathered around it within minutes. Like Pioneer Pet’s Big Max fountain, this fountain shows dirt easily, but isn’t difficult to clean. It’s ideal for one- to two-cat households. Out of the five fountains he tested, cat dad opted to stick with PetSafe’s Drinkwell 360—but that doesn’t mean the others aren’t great options. The best choice ultimately comes down to your kitty’s specific needs and tastes. Your personal budget, the number of felines in your household, your cat’s size, and their preferences are all factors when it comes to deciding what fountain works best for you.